Best known for its pre-Roman architecture, Wiltshire is a landlocked county in Southern England whose landscape is dominated by high downlands and picturesque broad valleys. The Neolithic Settlements at Stonehenge and Avebury Stone Circles still retain an aura of mystery and thousands of tourists flock to see them from all over the world. The Salisbury region are also known for their Medieval architectural specimens. 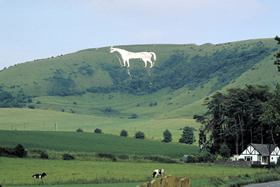 Today, Wiltshire presents a unique picture of a contemporary county with its feet firmly planted in a historical legacy that goes back to the Neolithic Men. Wiltshire is prominently dominated by a rural landscape built on Chalk plains that range from Dorset Downs on the west all the way to Dover in the East. Interspaced between regions of chalk and limestone are located clay vales like the Avon Vale and Vale of Wardour. The largest area of Chalk Downs is also called the Salisbury Plains where archaeological evidences of Neolithic and Bronze Age settlements have been found. Cranborne Chase in Dorset has also yielded a number of important Stone Age and Bronze Age archaeological specimens. Wiltshire enjoys a temperate climate characterised by seasonal variations in temperature. The region experiences a slightly milder and wetter climate than the other southern counties and the winter rainfall is mainly brought about by Atlantic Depressions. Strong winds blow in the period from November to March. 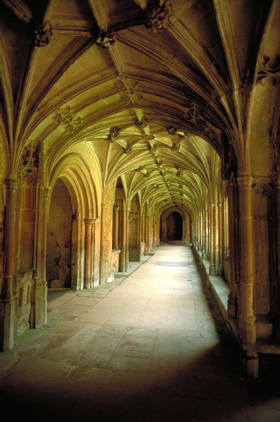 Due to its connectivity and natural resources, Wiltshire enjoys an active economy. The British Army uses the Chalklands as training grounds and hence the Public Administration and Defence departments are major sources of employment in the area. Manufacturing sector is strong in the area as well and electrical equipment, food products, pharmaceuticals and rubber manufacturing industries are worth mentioning. 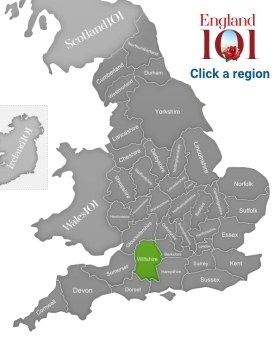 The northern portion of the county is pretty prosperous since the headquarters of many multinational companies like Honda, Motorola, Intel and Patheon are located in the Swindon area. 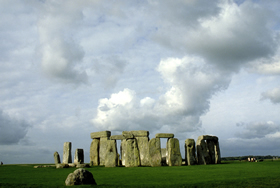 The Stonehenge and Avebury Stone Circles dating back to 2000BC are the most notable sites of interest in the county. The West Kennet Long Barrow with its burial mounds is another historic attraction worth mentioning. The Bowood House that still houses family heirlooms of the Earl and Countess of Shelburne, the Corsham Court with its Saxon heritage, the priory Church at Edington and the Tudor Manor of Littlecote house are other important tourist destinations. A taste of the country side Farmhouse life can also be sought at the lovely Roves Farm and Visitor Centre. Wiltshire is beautiful with a treasure trove of historically important sites distributed across the county. You can bicycle through its idyllic trails as you feel the pleasant breeze across your face and enjoy the true taste of England. 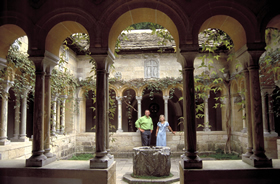 Senior couples, Iford manor gardens, Wiltshire. Stonehenge under swirling cloud formation, Stonehenge, Wiltshire. 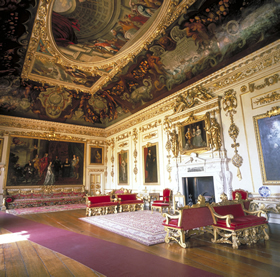 The double room in Wilton House, Wilton, Wiltshire. 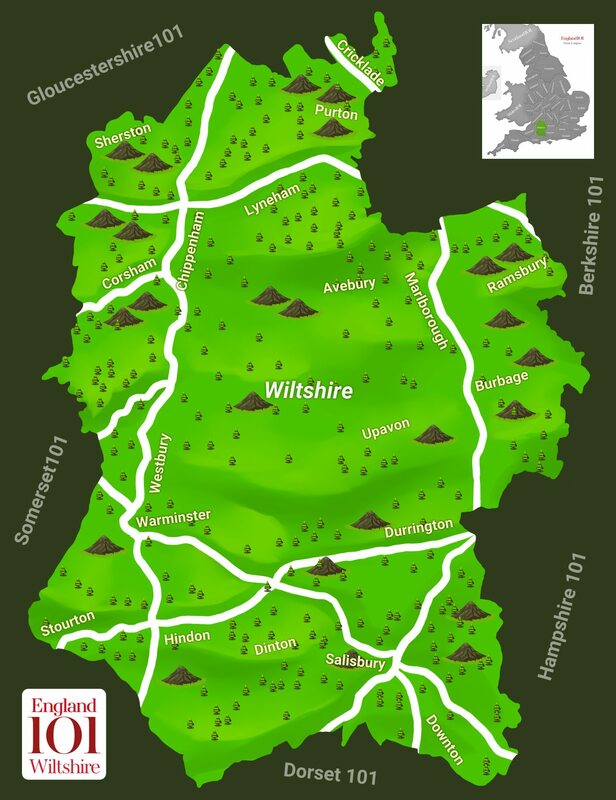 How much do you know about Wiltshire ?